Welcome to the Boarders Inn & Suites in Oshkosh, Wisconsin. 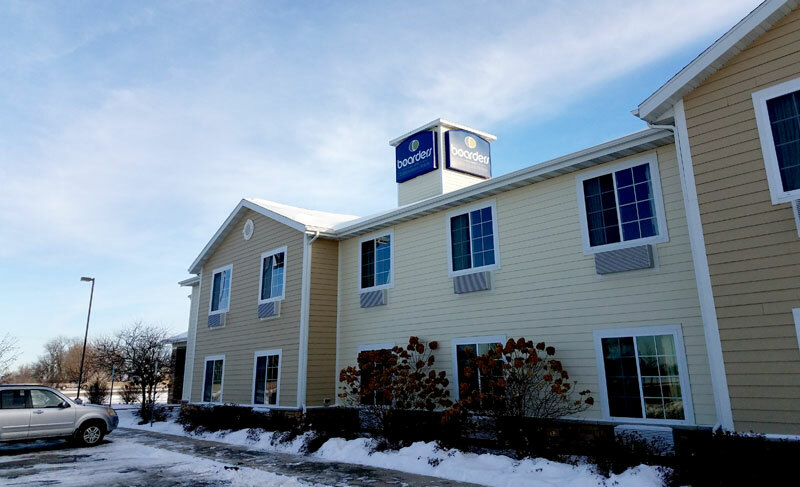 Our beautiful hotel is conveniently located near everything that Oshkosh, Wisconsin has to offer including Wittman Regional Airport, Outagamie County Regional Airport, Leach Amphitheater, Ford Festival Park, Oshkosh Grand Opera House, Titan Stadium, The University of Wisconsin─ Oshkosh, Fox Valley Technical College, Aurora Medical Center, and EAA AirVenture. Our hotel is located just off of Interstate 41. In town for business? The Boarders Inn & Suites in Oshkosh, Wisconsin offers easy access to Oshkosh Corporation, Bemis, Miles Kimball, and much more! In town for some fun? Check out the Country USA Music Festival, Rock USA, Lifest, Waterfest, Oshkosh Sawdust Days, EAA AirVenture, Gardina’s Wine Bar & Café, and more.